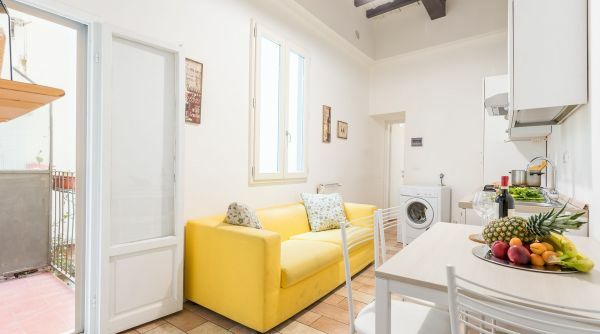 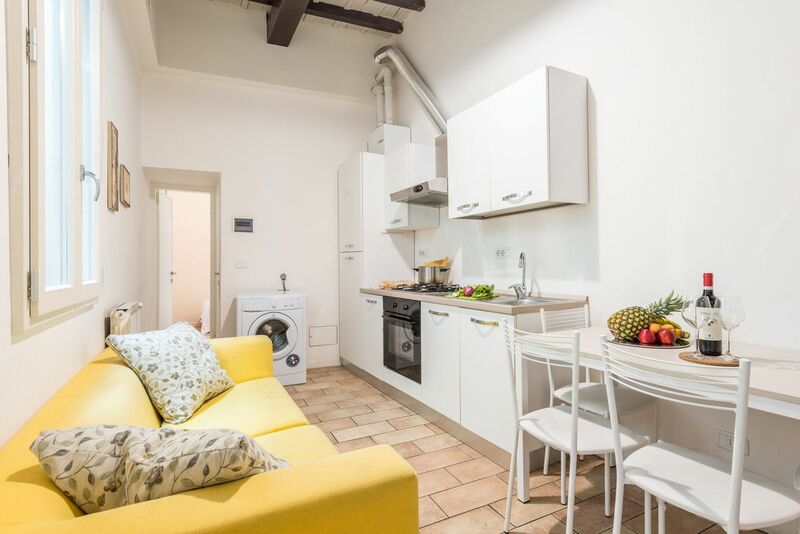 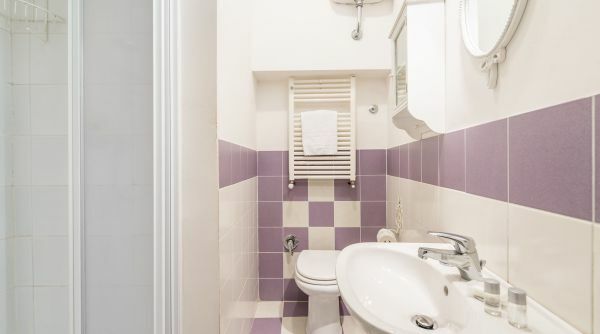 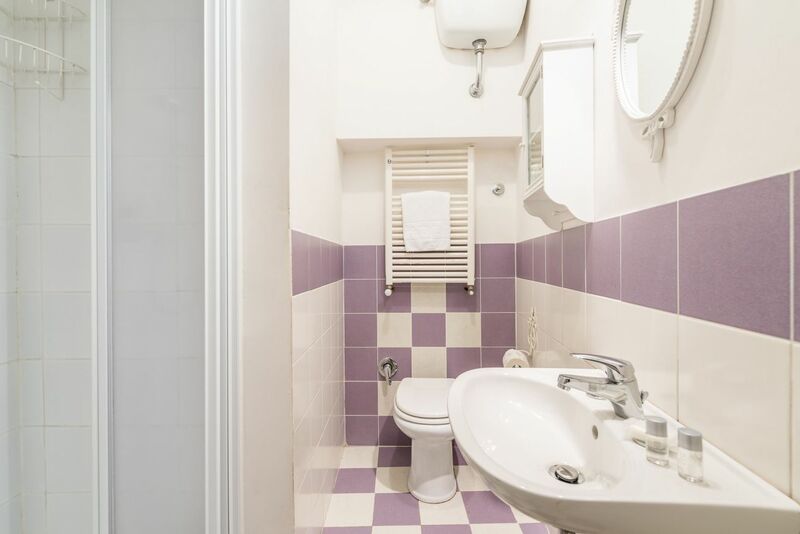 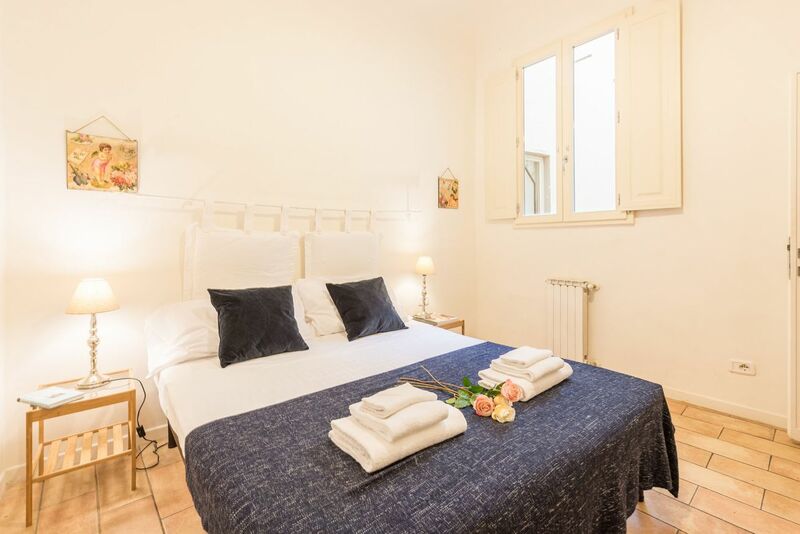 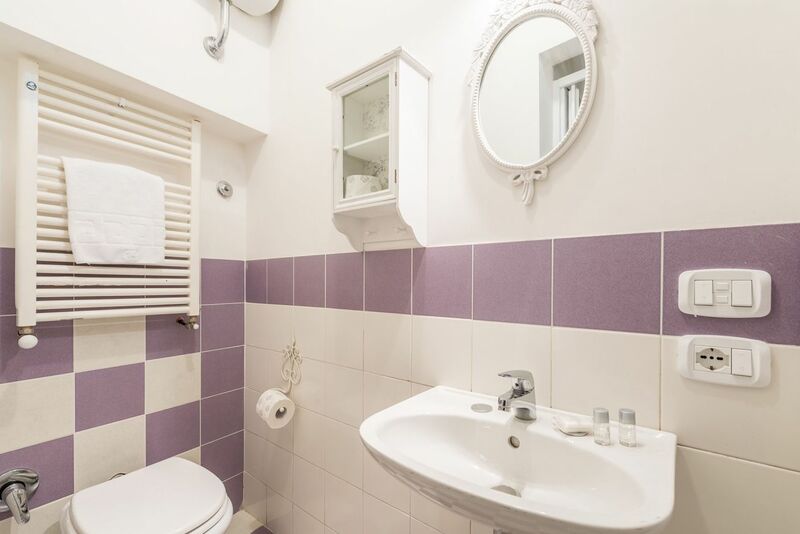 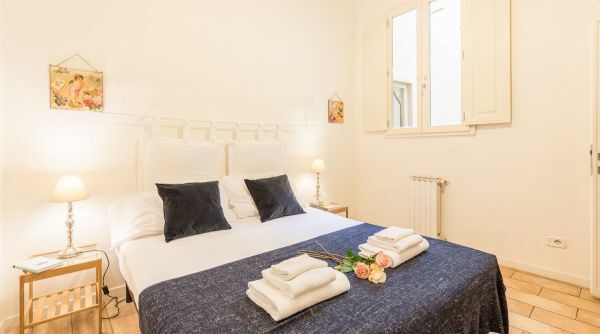 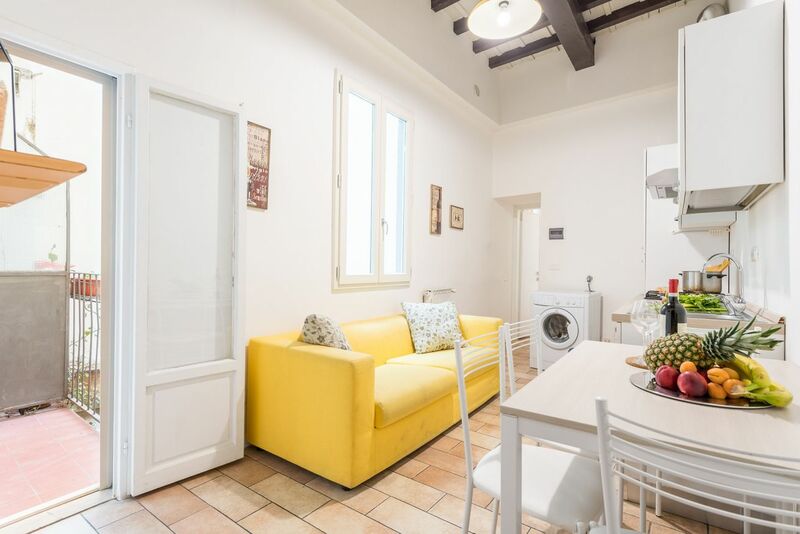 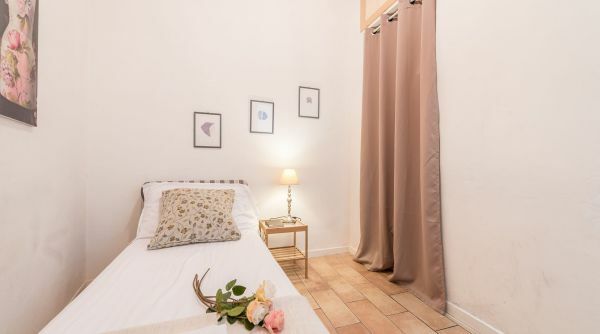 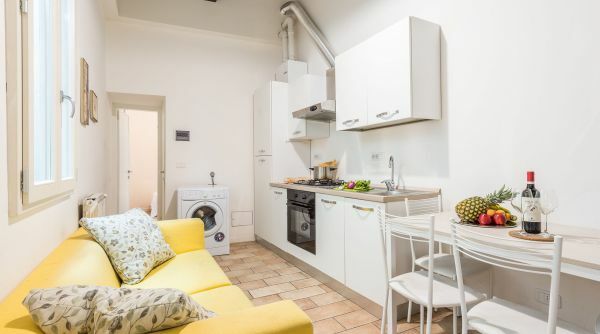 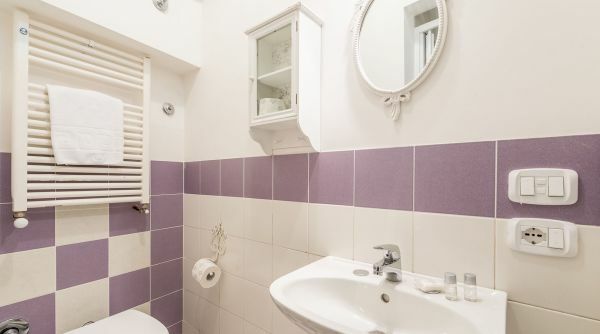 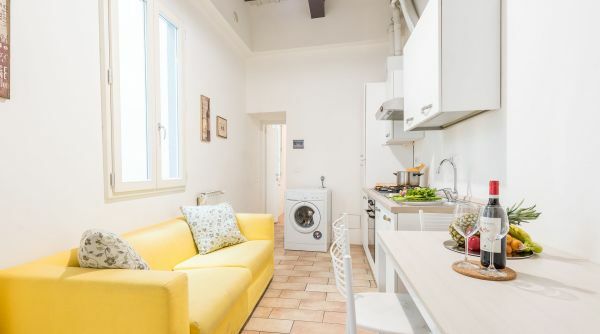 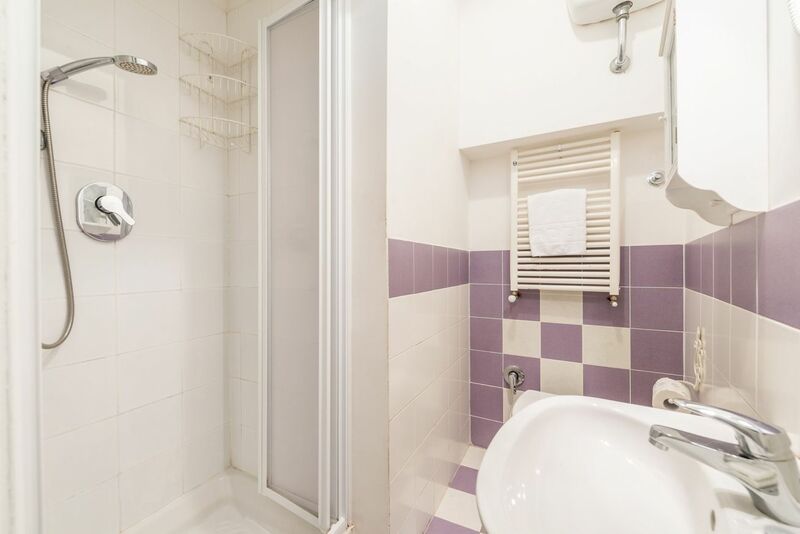 Peaceful two bedroom apartment with a small terrace in the heart of the Santa Croce district. 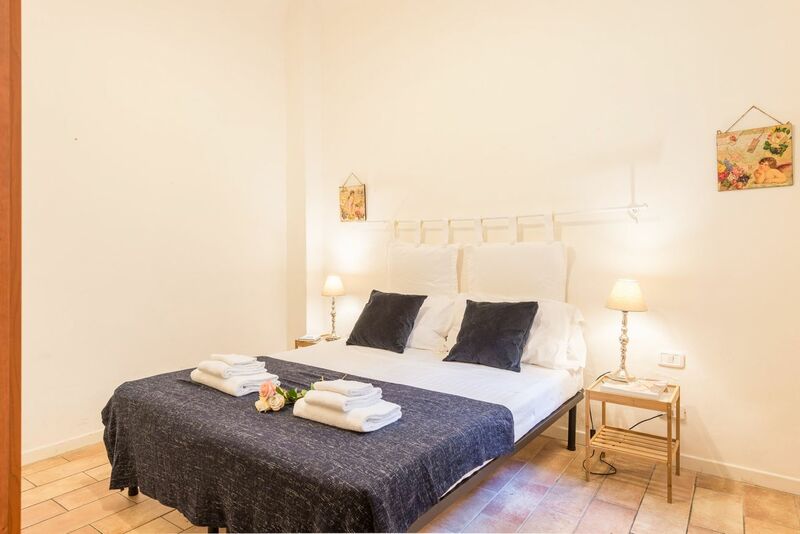 The central position, combined with all of the modern comforts of Ghibellina Stile, make it perfect for both short and long term stays. 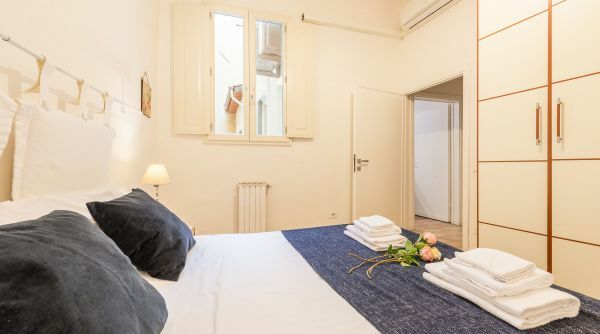 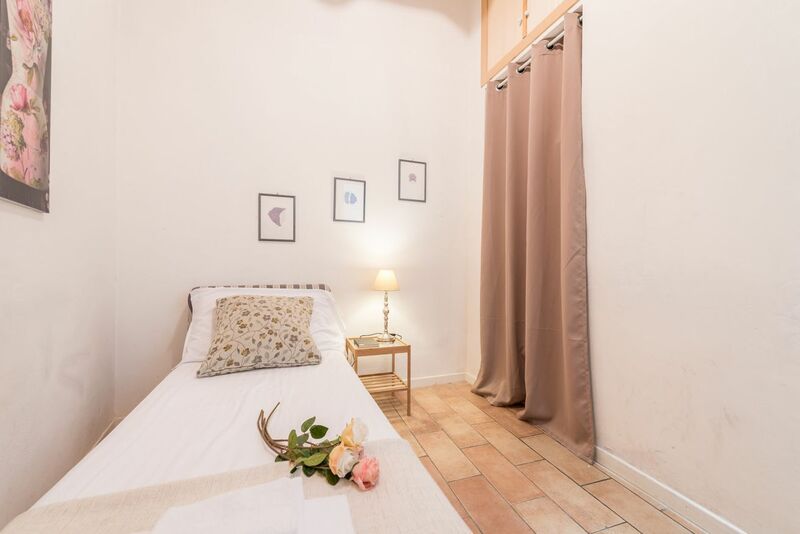 Situated on the first floor of a historical building, without elevator, on one of the most important streets of the city center. 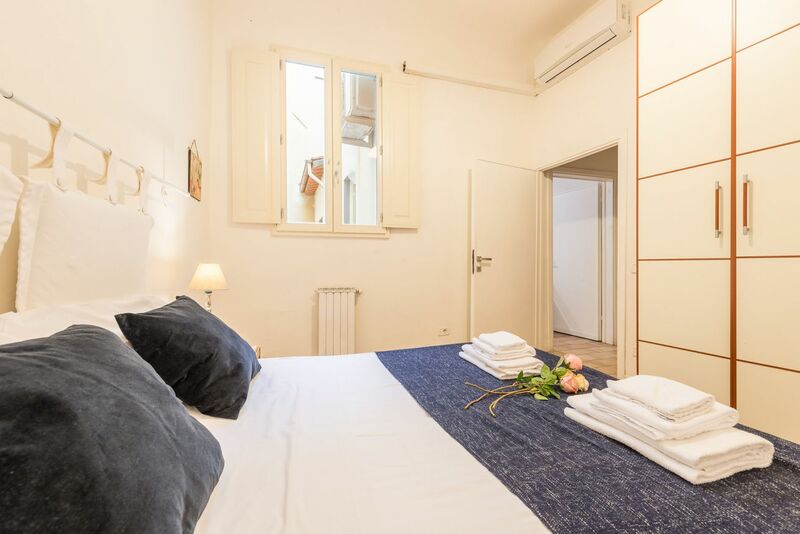 Just a few minutes by foot to Piazza Santa Croce, Piazza Signoria and the Duomo. 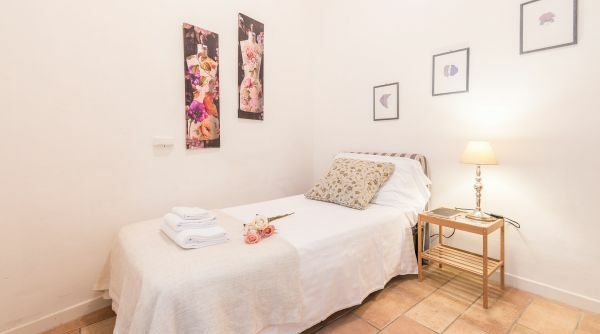 The property is composed of two bedrooms, one with a king bed and one with a two single beds, a living room with sofa, kitchen and dining room, a complete bathroom with shower and a small terrace. 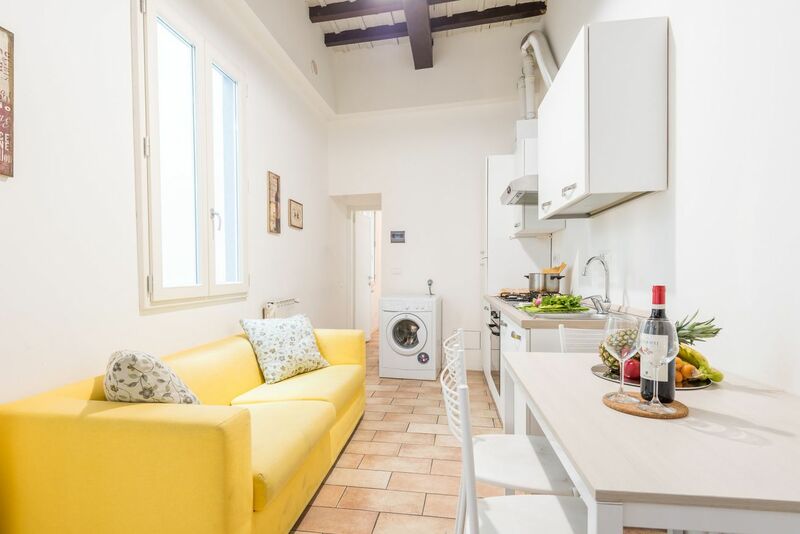 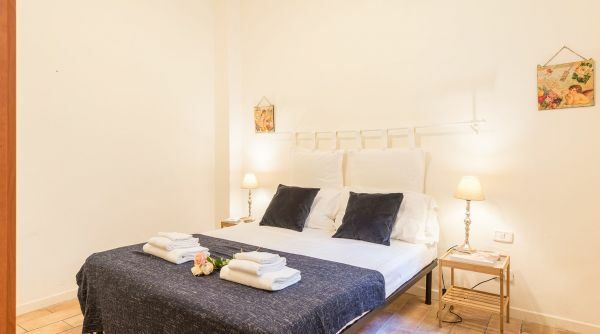 Guests will find the apartment equipped with unlimited Wi-Fi, air conditioning, washing machine and independent heating, and the capacity of hosting up to four guests.